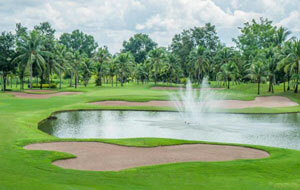 Thailand golf courses are plentiful and the majority of regions within the country boast a lovely selection, meaning that you will always be spoilt for choice when searching for the perfect golf course in Thailand. 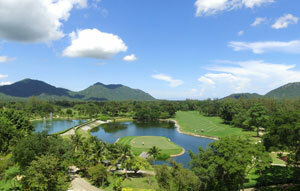 Check out here the 10 reasons why we think Thailand is a great place for a golf holidays. 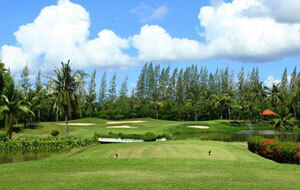 Also check out our 10 money saving tips for golfing in Thailand. 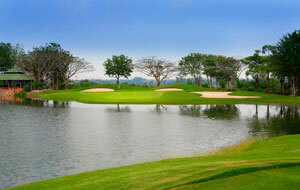 With so many golf courses in Thailand, we have split the country up in to regions and this will make it easier for you to browse through the courses region by region and make a choice as to what might be the best base for you depending on what courses you would like to play - see our blog on golf booking in Thailand. 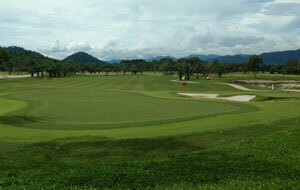 There are some 250 golf courses in Thailand from which to pick from and this can be a daunting prospect but here at Golfsavers, we have picked out the very best Thailand Golf Courses for you, saving you both time and money when it comes to making your choice. 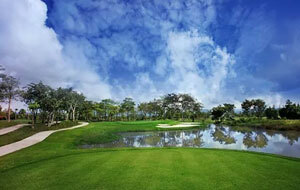 If you are not sure when is the best time to visit to get the best weather then you can get more information here. 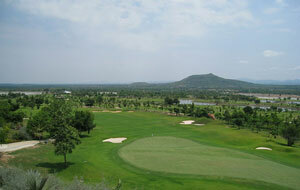 The main difference between the different regions within Thailand that offer golf courses is the terrain in which they are based. 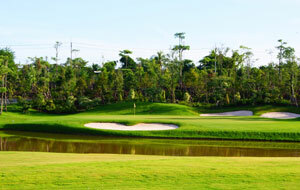 For example, there is the busy and bustling cities of Bangkok and Pattaya, the stunning beach resorts in the southern areas of the country or the more rugged and mountainous areas in the north of Thailand. 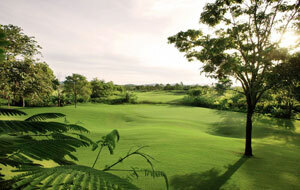 Therefore, whether you enjoy the city, beach life or mountainous countryside, you will always be able to find your prefect Thailand golf course. 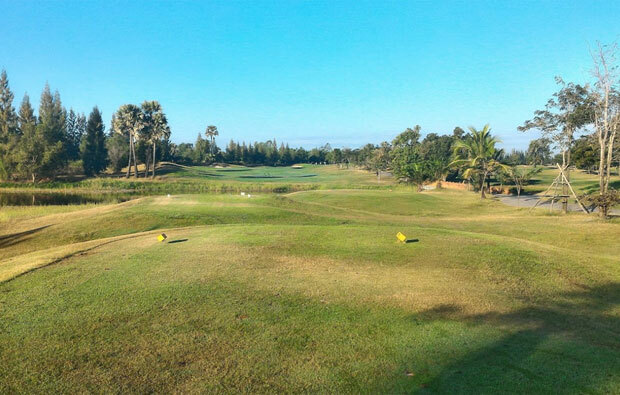 For a city based golf break in Thailand, you need to look no further than Bangkok or Pattaya and if you favour Pattaya then look at our Pattaya Golf Map. 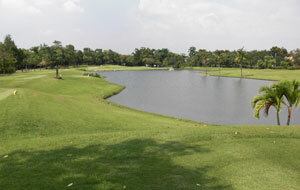 With courses available close to the centre of both cities or further out, in to the countryside, a round of golf is always close by. 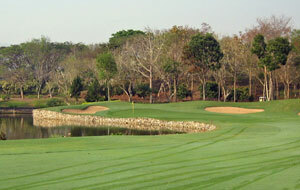 There is a maximum of an hour drive to reach some of the very best courses that Thailand has to offer, including Pattavia Century Golf Club and Greenwood Golf Club for those staying in Pattaya and the Royal Gems Golf Club and the Alpine Golf and Sports Club for those that prefer to use Bangkok as base. 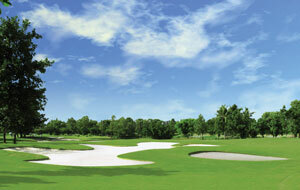 See our Bangkok Golf Courses Map. 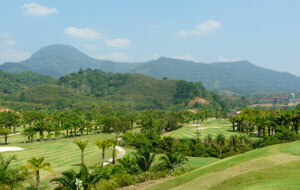 The northern regions of Thailand, including Chiang Rai and Chiang Mai are set amongst stunning scenery including mountains, waterfalls and tropical rainforest. 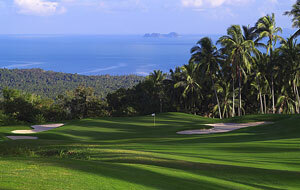 Due to the fantastic landscape, many of the very scenic courses in Thailand are located in these areas and therefore some extra travel from the cities may be required in order to reach them but it is well worth the effort. 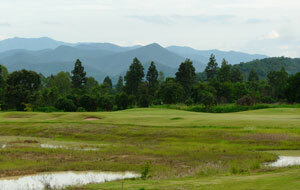 Of course, there are golf clubs located within close proximity to the cities, such as the Alpine Golf Resort and the Chiang Mai Green Valley Country Club which are both within 30 minutes of Chiang Mai. 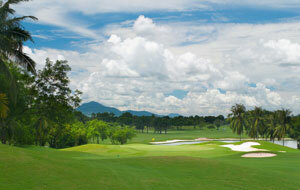 Currently, Chiang Rai has a limited selection of golf courses, including Waterford Valley Golf Club and Santiburi Chiang Rai Country Club but the surrounding countryside and the way of life in this area makes for a great golf experience. 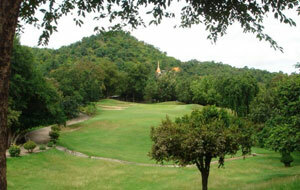 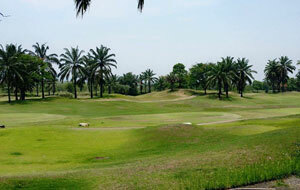 You can read all about the golf courses in Chiang Mai here. 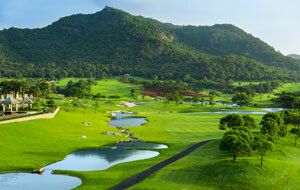 Moving down to the south of the country and Hua Hin offers a stunning beach location and a sea side resort town. 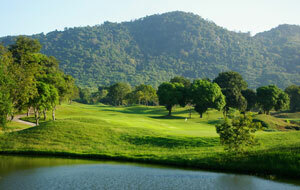 Of all the golf courses in Thailand, Hua Hin has some of the very best and by using the town of Hua Hin as a base, it is possible to play on many of them during your stay and with the wide range of tee times available in Thailand, you want to be able to make the most of your time and book early, to avoid disappointment. 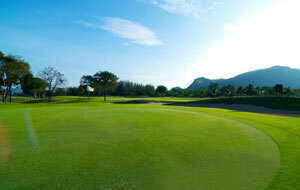 Just 15 minutes from the centre of Hua Hin is Banyan Golf Club, which boasts excellent facilities as well as the Black Mountain Golf Club, which should be on every persons list when visiting this region. 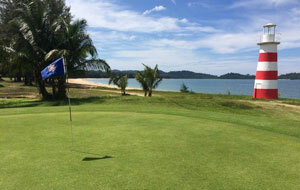 A very well-known area of Thailand, especially for its paradise like qualities is Phuket, featuring lovely beaches, tropical mountain scenery and relaxing blue lagoons. 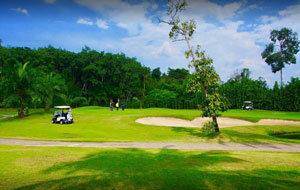 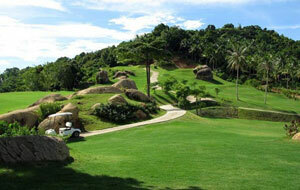 Patong Beach is a favourite place to stay and you may wish to play at the golf courses near Patong Beach. 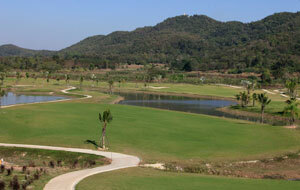 All of these features, coupled with some of the top Thailand golf courses, provide a glorious backdrop for the ideal Thailand golf holiday. 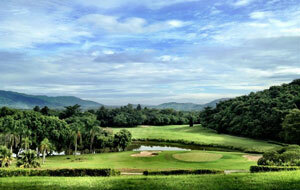 One of the most famous and best golf clubs in Thailand, the Blue Canyon Country Club has previously played host to the Johnny Walker Classic and can be one of the most difficult tee times in Thailand to book. 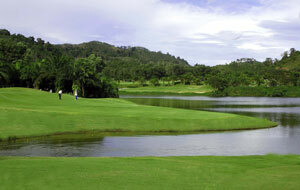 Other tremendous golf courses in the Phuket area include Loch Palm Golf Club and Mission Hills Resort and Spa, both offering lovely views and a good challenge on the course at the same time. 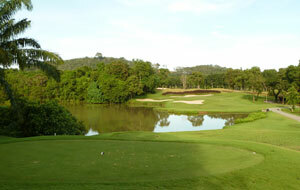 You are never far from a golf course in Thailand, wherever you may select to stay and each area of this beautiful country provides something unique to the people that visit them each year and the golf courses are no different. 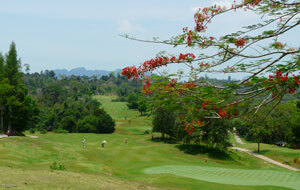 Ranging from beach side greens to mountainous ranges and city based fairways, Thailand golf courses have something for everyone and it would be a shame not to explore. 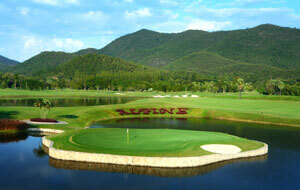 Check out our money savings tips for golf in Thailand here. 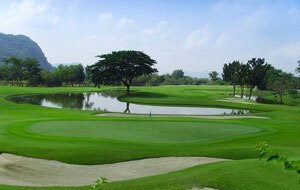 The green fees in Thailand are the cheapest in Asia and you can book at heavily discounted rates by using the Golfsavers booking engine. 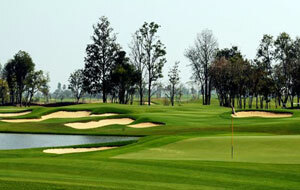 The golf courses near Bangkok are usually pretty crowded at weekends and more expensive so its much cheaper to book a tee time in Thailand on a week day.